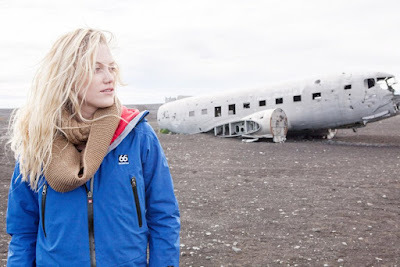 “Bokeh” opens with the idyllic Icelandic getaway of a young couple, Jenai (Maika Monroe) and Riley (Matt O’Leary), taking an obligatory turn when they awake one morning to find they are all alone, in the city, on the island, perhaps on the earth. It might be the apocalypse, or it might not, the film never really says, adhering to a strict dose of narrative minimalism and primarily concerned with the impending emotional apocalypse of Jenai and Riley, as a couple and as individuals, which probably sounds insufferable to some and probably will be if they go in hoping for an end of the world horror movie or adventurous exploration of What Happened and Where Everyone Went. The inciting incident might well pass for a spate of northern lights, seen in a dreamy haze by Jenai before she falls back asleep. The next morning, looking for breakfast, the couple moves through their hotel and then the streets and then the city and then the rural landscapes, driving an SUV that had just been idling, searching for signs of someone or something. There is nothing to be found and no explanation to be had with the Internet stuck on The Day Before and no one from America returning their texts or calls. In these panicked moments, the camera moves with them, not shaking but gliding, behind, before, over the top of, occasionally losing contact with our characters as if their own minds can’t keep up with their own thoughts. What those thoughts are, however, is one of the film’s major sticking points. 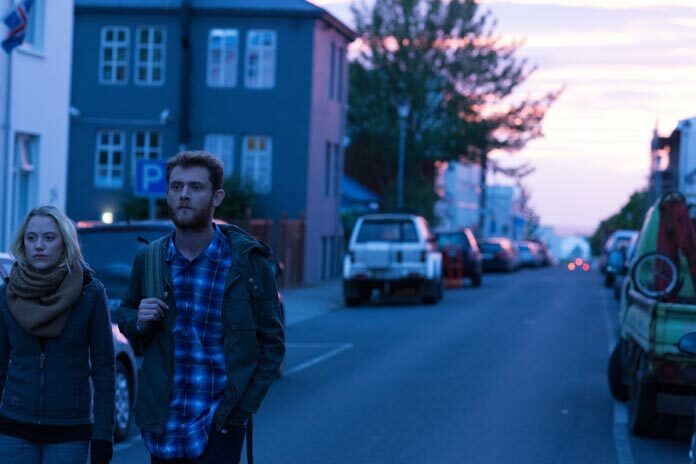 Admirably “Bokeh” remains resistant to traditional drama, until the wrap up, that is, but more on that in a minute. A mid-movie moment finds Riley momentarily stuck in an elevator and you think…oh, here we go. Nope. We don’t. The door opens and out he goes. When their water supply dwindles, a solution is fashioned, a couple sequences made not from suspense but DIY ingenuity. That is underscored by the music, which is not scary but often soaring, underscored by the majesty of their surroundings. The days of empty big cities with “How did they do that?” vacant Times Squares as the last bastion of humanity are over; go to Iceland! They take groceries; they take cars; they take over someone else’s house; they are consumers of everything that is left. Riley seems to enjoy this. “The world’s at our feet,” he says, which is just a terrible line but sort of works because it’s so terrible, because he is generally unrepentant. He barely seems to process the mind-bending situation in which they find themselves. When Jenai tries to question the more tedious, potentially dangerous, realities of their situation, Riley literally wonders why she simply can’t enjoy this, a line that, given the context, is laugh out loud funny. In these moments, “Bokeh”, not unnoticeable in the skin color of its only two characters, resembles something like a parable of white millennial isolation and solipsism, an intriguing alternative avenue to which the film never completely commits, too often falling back on timeworn tenets of relationship movies, domestic-ish squabbles, over yogurt expiration dates and such, which are so poorly played as to evince a cringe-y junior high production. Just as ill-conceived are the pseudo-deep dives into philosophy. Jenai is written, hazily, as a believer in God, though from the very surface level thoughts she proffers on her beliefs, you would not confuse her as a full time churchgoer or amateur theologian. She’s just sort of…spiritual. And that doesn’t have to be a bad thing, but the ruminating on “end of days” or the “rapture” or if this is a “test” are just sort of tossed off and never followed up. The conclusion takes a hard turn toward melodrama, which comes across dishonest given the prevailing tone and generally unnecessary since the film’s ending winds up sort of being open anyway. What’s worse is it robs the movie of a deserved applause to its most wicked punch line, a punch line built to by the encroaching loss of human connection, which creeps up on Jenai almost in spite of herself. Relationships, particularly in movies, are so often peddled to us as being All We Need, and that even if the world should end, or thereabouts, as long as we have each other it will be enough. “Bokeh” calls shenanigans.